This is a personal project where I thought of doing a book cover of a made up fantasy story. 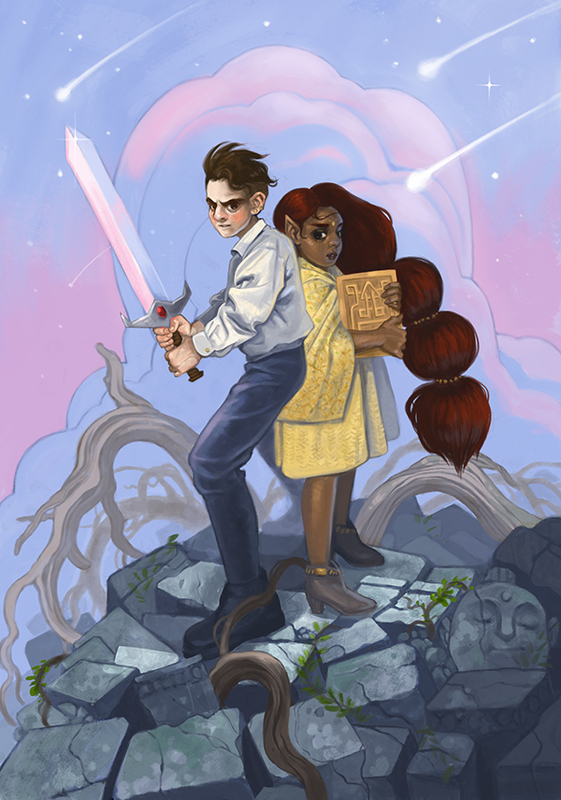 My goal was to create something that if I were a kid I'd want to pick up the book strictly because of the cover. I don't have a real story for these characters but it makes me want to write a little something.